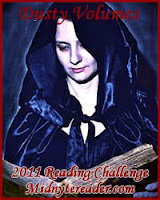 Midnyte Reader: The Haunting of Hill House. Title/Author: The Haunting of Hill House by Shirley Jackson. Favorite quote: “I think we are only afraid of ourselves.” Dr. Montague. “Fear, is the relinquishment of logic.” ~Dr. Montague. All in all: Spooky and atmospheric, but not as scary or as compelling as I was expecting. 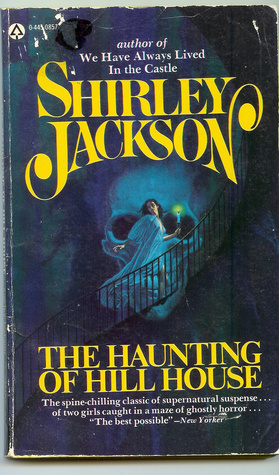 Synopsis: First published in 1959, Shirley Jackson's The Haunting of Hill House has been hailed as a perfect work of unnerving terror. 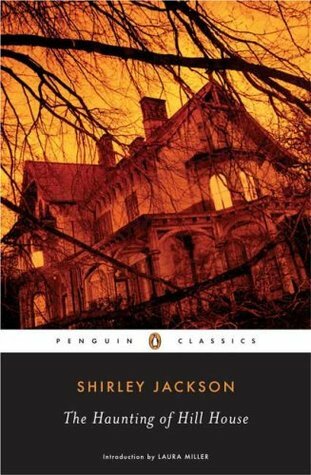 It is the story of four seekers who arrive at a notoriously unfriendly pile called Hill House: Dr. Montague, an occult scholar looking for solid evidence of a "haunting"; Theodora, his lighthearted assistant; Eleanor, a friendless, fragile young woman well acquainted with poltergeists; and Luke, the future heir of Hill House. At first, their stay seems destined to be merely a spooky encounter with inexplicable phenomena. 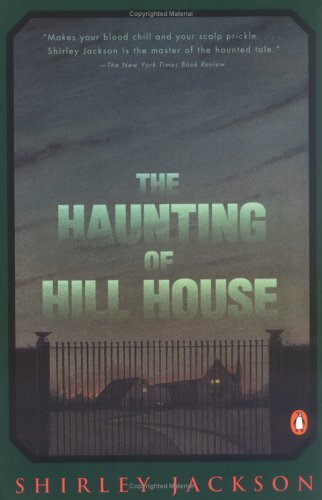 But Hill House is gathering its powers-and soon it will choose one of them to make its own. My Thoughts: I wanted to like this book more than I did. Having admitted that, I feel lacking in literary taste. Kind of like when I like an outfit on Project Runway and the judges rant about how tasteless and tacky it is. 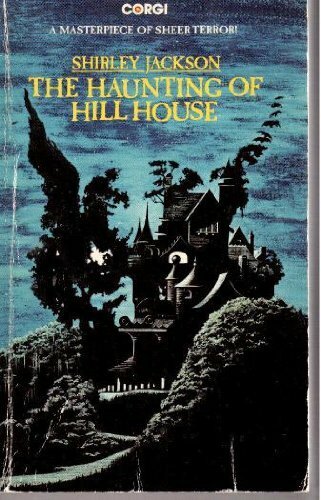 Hill House is beautifully written and very descriptive and I could envision the landscape, the house and the characters. That all came alive for me. I could even feel the moody, somber hills close around on me. I could envision the fields they walk through and almost taste the summer air around me. I think the spooky parts were definitely spooky. How the house trapped and tricked them. Sometimes it seems very subtle and sometimes the house practically assaults them. I could see the characters. The desperation of Eleanor, the self centeredness of Theo, the humor of Mrs. Montague. I found their banter in the face of the strangeness of the house funny and I understood it as a type of defense. But honestly, I didn’t really like the characters that much. Dr. Montague seems kindly and I liked Mrs. Montague and found her refreshing and ridiculous, but I never connected to anyone. I thought that Eleanor and Theo were especially odd. I didn’t really like Eleanor and I felt sorry for her as well. She seems to be very phony or she just doesn’t have her own identify. Maybe it’s a bit of both. She thinks about every action she takes, worries excessively about what the others think of her and strives to present a persona that will make her more appealing. The house is a character as well, one I found more intriguing than the flesh and blood ones. It has solid foundations but is misleading. The proportions are off, its layout is odd, it is off center and off balance. It has power over all the players, more strong in some than others. It's history is interesting and at times sad which may contribute to its influence on the inhabitants, past and present. I think the questions the story brings about are interesting. Did the house drive Eleanor mad, use its influence on her, or was she a little bit mentally ill to start with? I understand that this is an important book and I do understand why. It’s a complicated story with many things to look at and analyze: psychology, behavior, relationships and yes even paranormal activity. Maybe if I was reading it with someone else or within a class setting I could have learned more than I got out of it, or have seen differing opinions. However, I really just wanted to finish it so I could move on. Oh, I know that feeling well, Pam. It always makes me feel like I missed something major for not liking a book that has been so well received. First time I read it, it didn't do much for me. Second time through, a decade and a half later, I thought it was amazing. Maybe it's because I was expecting more, or wanted something other than what it was. Did you find it at all funny? I thought the dialogue was so well done. Anyway, I love this book, but I understand your reaction.